As you know, the Centers for Medicare & Medicaid Services (CMS) issued final requirements for meaningful use stage 2 on August 23. Since then, it’s clearly been one of the most discussed topics in healthcare technology circles, perhaps this site aside. While the dust finally settles, the nuances of the regulation are being turned over and devoured. Providers and practice leaders are examining the 17 core (required) measures and wondering which of the three menu items will allow them the clearest path to overcome the hurdles of stage 2. Successfully meeting the meaningful use measures aside, for me the meaningful use exceptions for noncompliance are what stand out here. Have insufficient Internet access for any 90-day continuous period between Jan. 1, 2013, and July 1, 2014. Encounter extreme circumstances outside the physicians’ control, such as practices closing, natural disasters, EHR vendors going out of business and similar scenarios. Practice in multiple locations and have a lack of control over the availability of EHR systems. Have a lack of face-to-face visits or other patient interactions, or the need to provide follow-up care. Perhaps I’m giving this single point more importance than it deserves, but I find this to be wonderful foresight on the part of CMS. Kind of like the nation’s forefathers providing exceptions to the success of the United States; a caveat to hedge against the Constitution’ failure. Here, tucked in with acts of God and insufficient Internet access, CMS ensures that physicians need not worry about their EHR vendor putting plywood over the windows in the middle of your attestation process. Clearly, contraction in the vendor market is going to happen. It’s a matter of time. Those of us in the vendor space have speculated on this very fact for several years. Analysts have provided their opinions and they agree, as do my counterparts. Perhaps the next year won’t bring a dramatic change to the EHR vendor landscape, but we all know it is coming. The fact is, there’s just not enough physicians and care providers to support between 400 and 600 vendors. Stage 2 is most likely going to prove too complex for many of the smaller shops. Those without a tool that’s robust enough to make the meaningful use push or companies without a sizable enough footprint to be an attractive acquisition target are going to fold. Their clients may expect them to weather the storm, but a ship without a sail is nothing more than a lost vessel without direction. So, with all the other exceptions that can cause a set back, and given the level of commitment required to meet stage 2, the easiest exception to avoid may in fact be making a vendor switch now. Given the set backs a vendor collapse could cause your practice, I might prefer taking my chances with an act of God because at least I might be able to pray my way out of it. When looking forward, it sometimes helps to look back; sometimes. Though the past is not always an indicator of things to come, sometimes we’re able to find a little guidance in the hindsight. 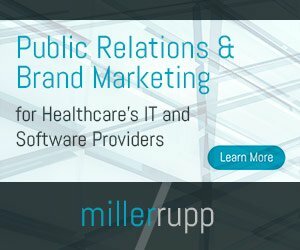 Much is being written by folks like myself in response to HIMSS asking the question of where Health IT is going to be a year from now, on the anniversary of second annual National Health IT Week. Unlike several of my counterparts — perhaps I’ll be considered less of a forward thinker because of it — but instead of fast forwarding one year, I’d like to go back one year to formulate a response. In May 2011, I had the pleasure of helping draft a column for my then boss for Imaging Economics magazine. The piece, one of my favorites, seemed to strike a chord, even if just with my office colleagues. Nevertheless, this piece essentially answers the very question asked by HIMSS, a year before the asking. And so, as we wrote back then, I’ll begin here again, with an encore of the piece as a response. This observation, according to my best estimate, couldn’t be any timelier. It seems nothing has changed in more than a year. I suspect little will change in another. Reform continues as we move past Stage 1 and into Stage 2, which are more rigorous than their predecessors. It will consume hours of healthcare professionals’ time. They will toil and try, and try and toil. And so, the encore performance may actually be a sign of things to come. Dr. DeShan’s medical mission, through Agape Unlimited, provides everything to its patients for free. There’s no cost for the consultation, for medication or for the glasses received. Because of the care provided for the folks in the rural areas, sometimes this is the only medical treatment they’ll receive for years. Word of mouth spreads and people come for miles. In one instance, a group of patients rode on a reindeer-pulled sleigh for more than 24 hours for a visit with an Agape physician. Each expedition outside of Moscow has its own set of challenges depending on where the group of volunteers is going and the time of year, but each has several things in common. First, the expeditions to the remote areas are all two weeks long, primarily because there is a tremendous amount of travel involved. From the U.S. to Moscow takes between 20 and 24 hours then there is the travel to region where the work is done, which can take between 24 and 36 hours by train. Once the crew reaches the region, there is often another eight to 10 hours of travel by vehicle to get to the area where they will work. This is typically a large village in the region where they stay with a host family. Once they reach the area they’ll be working in, each day the crew goes out to different villages for anywhere from one to three days. This is where the work of seeing patients begins. Each team consists of four to six people and is a combination of Russians and foreigners, with a doctor, translator and others who fit people for eyeglasses, take vital signs, do basic lab work and patient education. Often they arrive in the morning and work late into the night as they attempt to see everyone who comes for a visit. When they arrive in the tundra or taiga, little clinic areas are set up in any area that can accommodate volunteers – in churches, homes or government-owned buildings. Often, the temperatures are extreme and basic comforts are a luxury. Roads are few, the people are scattered and the towns are made up of 19th century-like structures. The medicine that is dispensed is the most readily available to those living in the area, making it easier for people to acquire drugs once the team of doctors has left. For those treating patients in Moscow, they travel to various sites throughout the massive city, caring for the sick and poor. The story is much the same here as it is in the countryside: far too many people need care for anyone to provide in their lifetimes. Back in Texas, most of his patients have been very supportive of Dr. Deshan’s global work. Midland Women’s Clinic office manager Marge Bossler never thought DeShan was going to be able to connect to the EHR from Moscow to make his global pursuits a viable reality. “It’s really quite amazing how he can work, respond to emergencies and attend to the needs of his patients from half a world away,” Bossler said. “In many ways, when he’s in Moscow, it’s as if he’s only in another area of the building, not in another area of the world. He responds to alerts and takes action for his patients as needed. He’s totally aware of what’s happening back home, and gives his recommendations when required,” she said. In Russia’s northernmost zone is a treeless, marshy plain. The journey takes days. First, volunteers travel by jet to the region and then use 6×6 Russian trucks to travel up to 24 hours across the Tundra. There are no roads. Sometimes progress can only be measured in inches. They continue by snowmobile to the teepees where the local people live. Once there, they provide medications, medical consultations, health kits and eyeglasses that are often lifesaving for the Nenet people. The world’s largest forest is an area about the size of the United States and spans 11 times zones across Northern Russia. Here in the Taiga, people are extremely distant from the rest of the world, both geographically and communicatively, and some still speak their own ethnic language. Deep in the mountains of Southern Siberia, most people are shepherds who tend sheep and goats in these vast valleys. The closest medical help for them is often a three-day trip away, with much of the traveling done on rut filled dirt roads. Agape Unlimited opened Medical Center Agape in Moscow in 2004, the first Christian Family Practice clinic in Russia. Since 2004, Medical Center Agape has grown to a staff of more than 50 and seeks to provide quality compassionate Christ-centered care to the people of Moscow, to send medical teams to the remote rural areas of Russia, and to provide free medical care to the poor and destitute of Moscow. In 2007, Medical Center Agape began working in cooperation with several of the leading medical universities and residency training programs in the Moscow area. Agape asked, “How can we help?” They answered that they wanted the mission to teach their doctors to be compassionate. Through this arena, Apage’s goal is to grow a new generation of Russian medical personnel who can continue the work initially started by Agape. Currently, there are more than 400 written invitations to come and serve in different parts of Russia, some of them are as far as 11 time zones away. The program is open to doctors, dentists, nurses, dental hygienists, chiropractors, med-techs, residents, interns and even medical students who are in their clinical clerkship years. Agape Unlimited is always seeking volunteers to serve in clinics throughout Moscow and to travel on medical expeditions to rural areas of Russia. One- and two-week slots are available. The cost for the two-week program in Moscow is $2,200 per person or $1,500 for a one-week program. The cost of going on one of the remote expeditions is $3,000 per person. The programs begin on Saturdays. An initial deposit of $1,000 is required to reserve your space in the program, and the balance is due eight weeks before departure. Sightseeing, translators, and touring on the weekends to selected spots (Red Square, Christ the Saviour Cathedral, Ismaylovo market for souvenirs, Mega Mall, underground metro station tour, Arbat Street, Botanical Gardens, and church on Sundays). One Texas physician leads a global healthcare mission from Moscow, supporting thousands of poor and underserved Russians, while maintaining a full-time practice in Midland, Texas. For more than 10 years, Dr. David DeShan has been traveling between Midland, Texas, and Moscow, Russia. DeShan is a physician and a missionary — serving patients at Midland Women’s Clinic in Texas and providing needed prescriptions, exams or treatment to hundreds of indigenous Russians. The contrasts between the two worlds in which DeShan lives are stark. Here in the United States, he’s connected to his patients through electronic health records and secure web-based practice portals that allow him to communicate, share records and provide consultative services. Likewise, his patients can connect with him through any web-enabled device from anywhere in the world where there’s an Internet connection. His practice, which is building a new state-of-the art clinic, provides 21st century medical care. In Russia, he is the president of Agape Unlimited, an international Christian medical mission program. Through Agape he visits people that are often secluded in very remote villages far removed from first-world creature comforts. Sometimes, as part of his medical mission work, he travels days into the lost wilderness of one of the world’s most vast and remote regions. Four to five times a year he ventures outside of Midland, Texas, for up to four weeks on each trip. The majority of his travels are to Moscow where he oversees the nonprofit and its network of clinics. His involvement with Agape includes both the oversight of the organization in addition to traveling to the countryside to administer medical care. Despite being half way across the world he is able to effectively take care of his patients and colleagues in Texas. In 2002, when Dr. Deshan first started his missionary work in Russia, he was completely detached from his practice in Texas. Needing to reach his patients, he eventually secured a satellite phone. Today, with the help of his EHR, he is fully connected irrespective of his location. Dr. Deshan has access to patient charts and tracks their progress remotely. Occasionally, he will use the information from the EHR and Skype his clients if a face-to-face conversation is warranted. Either way, when he returns to his patients in Texas, he never misses a step. Being a full-time physician and president of Agape is highly demanding and Dr. Deshan works up to 90 hours a week. Healthcare is different there than in the United States, as would be expected. The system is more socialized and less open compared to the U.S. Technology is also limited and use of such tools like EHRs are minimal. In fact, DeShan says there are just a few EHR-like systems in place in Moscow at elite practices. Each workday, he logs in remotely to his EHR, reviews the pap smears, lab work and patient calls that need his response. His nurse highlights any abnormal mammograms and scans them into the system for his review, and he reviews the physician assistant encounters with his patients. The only things remaining when he gets back home is to go through the mail and review the bone density exams and normal mammograms, usually taking about 30 minutes. “The EHR is truly what enables me to work in Russia yet still stay caught up. Since I can do this from Russia, it greatly reduces the burden on my partners and most of my patients really don’t miss me while I am gone because everything is still answered in a very timely fashion,” DeShan said. DeShan said he’s always been drawn to serving his faith through medicine. “I’ve always been very interested in Christian outreach, and I see medicine as a tool to this end. I wanted to find an organization for Christian doctors and I went to Russia once and kind of got hooked. I just felt like I was supposed to do more. It called to me,” he said. He leads a handful of international volunteers from Germany, Canada and the U.S. and a staff of 10 in Russia working on the ministry and 40 working at Agape’s clinic. About 50 serve on expeditions each year. Despite resources, these folks see more than 365,000 patients a year at the group’s clinical network throughout Moscow and provide more than 2,000 pairs of eyeglasses to people throughout the country. Outside Moscow, more than 70,000 consultations have been given since DeShan became involved with the mission. Though Russia is considered a first-world country, more than 75 percent of its rural residents don’t have plumbing. Without running water, medical infrastructure is not just impossible, it is a wishful hope. “There’s a tremendous need for care, especially in rural areas out there, for medicine, and things like glasses,” he said. Agape goes where no others go, taking action to improve the health of people who may have never seen a physician. This takes the organization to remote areas in Siberia and beyond, as well as to Moscow, meeting the needs of the medically underserved in the capital city, DeShan said. Since 1993, Agape has been providing medicine, medical consultations and assistance to those who have little or no access to medical care in Russia. Agape sends teams to areas where the need for medical help is urgent , focusing on both the most remote and isolated people in the Arctic and Siberia, as well as the poor and overlooked in rural and urban areas,. Agape’s medical expeditions always work in conjunction with a church within the region; this way the work continues in the community after the medical missionaries leave. Agape provides everything to its patients for free. There’s no cost for the consultation, for medication or for the glasses received. Because of the care provided for the folks in the rural areas, sometimes this is the only medical treatment they’ll receive for years. Word of mouth spreads and people come for miles. In one instance, a group of patients rode on a reindeer-pulled sleigh for more than 24 hours for a visit with an Agape physician. For more about Agape Unlimited, visit www.agaperu.org. I can’t help but think of some of the things kids born this year or last will never know. For example, video tape and video stores are virtually gone already. Watches, paper maps and newspaper classifieds are on their way out; and perhaps newspapers, too. Printed encyclopedias (some of the last were printed this year) and, likewise, encyclopedia salesmen are history. Printed phones books I still get, and use, but they will one day stop coming to the door; CDs, film and fax machines are all but obsolete, though, there are still enterprises trying to make their livings peddling their wares to help organizations send secure faxes. I don’t consider myself to be old by any means; just part of a transitional generation. I remember paying $1 for a gallon of gasoline and I remember protestors picketing gas stations in Southern California when the prices topped $1.50 a gallon. I was introduced to the web via dial-up Internet and wondered when its value would be achieved, as it was difficult to imagine a life lived through the web one AOL minute after another. Now, the Internet is considered one of the most innovative advancements of all time. Healthcare, and nearly every other business sector, will never be what it once was because the technology allows for continuous advancement and the development of tools like EHRs, patient portals, HIEs and mobile devices. Why all the reminiscing, then, about all of the gadgets that my children will never know? Simple. My primary care physician uses paper charts. She has no plans to change and is unapologetic about it. Her patients sometimes ask her why and she shrugs it off like it’s not important, an overly hyped issue. One that she’d rather not discuss and one she might wish went away. The wall of charts behind the reception desk is a symbol of her success. They represent patients she’s treated, conditions faced by the people she cares about, meetings with those of us she’s counseled. Perhaps that wall of record is her trophy case, a testament to her professionalism, outstanding demeanor and nature, and the trust she’s earned with all of us. She doesn’t want to be forced into any kind of decision that affects her business – that’s how she sees her practice, as a business — even if she’s ultimately penalized because of it. Though she’s got the paper to sift, she claims to be organized and just as efficient as any machine could make her. The notes enclosed are her own and won’t be shared with anyone. The only incentive for paper these days is the recycle bin. But, she carries on. For now. In the end, though, she’ll probably close shop, shred the records and move on to retirement if her decision not to implement an electronic health record means she can’t continue to do what she loves – practice medicine and provide care. She has that luxury. She’s of a certain age. She remembers things that many of us have never experienced. She grew her business on typewriters, dial telephones and paper records. And soon, she will become one more thing my children will never know. Patients are not the only ones who will become more engaged as mobile devices continue to infiltrate healthcare; physicians, too, are reaping the so-called rewards. As the debate continues to rage about the efficiencies created when EHRs are used in a practice setting, there seems to be little argument as to whether tablet PCs, smart phones and even applications like Skype actually improve the business of communication and interaction with patients and their physician partners and physicians with their colleagues. A physician whom I very much respect, Dr. David DeShan, is one such physician who communicates with patients and colleagues via Skype from his mission outpost in Moscow, Russia. Spending weeks at a time in Russia each year, he also maintains his status as a partner and practicing physician at a growing OBGYN clinic in Midland, Texas. As an early adopter of the virtual visit, DeShan is able to maintain contact with his patients if they need a consult, and he’s also able to maintain his connection to his practice so he can check labs, review diagnosis and provide counsel to his practice mates should they request it. By his own admission, he works a full-time practice schedule from abroad in addition to his full schedule as the leader of a major international mission. By partnering Skype and his EHR, DeShan is essentially a full-time practicing physician without a need to be restricted by the brick and mortar location of his practice. At the same time, he’s able to dedicate himself to his medical mission work in Russia and serve individuals throughout the world’s largest country in places that would never receive even the most primitive of care without him and his network of medical volunteers. But, I digress. I’ll save DeShan’s story for another day. The point I’m trying to make is in support of CDW Healthcare’s article “Momentum Surges for mHealth,” which cites a recent IDC Health Insights observation that shows clinicians use more than six mobile devices in the care setting each day. Accordingly, as the mobile world continues to open new opportunities in all aspects of life, physicians, like all of us, know that they will come to rely more on these devices to practice, communicate and collaborate. Clinicians and practice leaders continue to embrace the devices in the care setting, and they expect practices to allow them in their work. When technology delivers upon its promise and actually makes life easier, it is obviously going to be supported and used, like DeShan has done with Skype. The CDW piece goes on to state that according to a University of Chicago School Medicine study, providing tablet PCs to residents actually reduced patient wait times in hospitals. Likewise, the study found that the same residents did not have to look for an open computer for medical charting and actually allowed the residents to spend more time with patients. Novel concept. Technology working as promised. Not so unbelievable when spelled out so clearly as this. As I said, mobile health will continue to grow in popularity. If internal policies are not supported and encouraged, you’ll quickly find yourself in a BYOD environment, which is not such a bad thing. In fact, if it develops or if you’re unable to support your own internal mobile device initiative, set some rules and let it bloom. For a more exacting plan to deal with BYOD, take a look at the following piece: Creating a BYOD Plan Protects Your Practice and Your Employees. When managing a population that’s more likely to use or own a mobile device like a tablet PC than the rest of the consumer population, the infiltration is well underway so it’s time to begin reaping your mobile rewards. In continuing a series based on HealthIT.gov’s “How to Implement an EHR,” now seems like an appropriate time to seek additional insight into how to prioritize your implementation plan and identify critical tasks to perform when putting your system in place. As the HIT world continues to reel from continuous change – meaningful use stage 2, ICD-10 postponement and mobile health among the biggies – like any commercial market, there’s bound to be some constant ebbs and flows. Selecting, and changing, an EHR are bound to happen no matter what else is going on in the market. So, though much of the market may be focused on regulation and reform related to EHRs, there are still practices who haven’t yet implemented, and there are practices that are looking to get out of their current solutions. Implementing an EHR is really about implementing a change management process: new rules, new ways of doing things and new things to learn. That’s an oversimplification, but it essentially hits the mark. What new work tasks/process are you going to start doing? What work tasks/process are you going to stop doing? What work tasks/process are you going to sustain? The three categories help determine the future work environment of the practice; how things will work after the change. Obviously, if you are moving from an existing EHR, you’re probably going to be more familiar with how things will work once the system is in place, with a few exceptions. However, moving from paper to electronic records means there are going to be a great number of changes that, if not accounted for, may cause some initial hurdles along the way. Mapping how the EHR will affect your workflow, and how you hope it will enable you to perform certain tasks or functions like how you plan for them to create more efficiencies and reduce duplicate processes? Creating a backup plan to address issues that arise during implementation. This is crucial as issues beyond your control will come up and if you’re not prepared for them, they could derail your process and set you back. Think of worst case scenarios and plan for them to happen then hope for the best. No implementation is ever the same as another; each are there own experiences. Building a project plan to blueprint the transition then appoint a team member to manage the plan. Finally, find out what can be transferred to the new system like patient demographics and schedules. Once this point has been reached, you can bring other parties into your plan, like consultants and vendors, to get the plan rolling and potentially start the implementation. Otherwise, you’re on your way.